It’s time to drink champagne and dance on tables here at The Lace Boutique because we are celebrating our second year in business. We would like to take this opportunity to thank all our fabulous brides over the last 2 years for making our bridal boutique dreams a reality and in turn we hope your wedding dress made all your bridal wishes come true. To celebrate turning 2 we are delighted to offer all our brides-to-be 20% off any gown from our current collection ordered in the month of October. So if you haven’t made an appointment with us yet pop over to our online booking form and arrange a date with us to find your dream dress. As it is a celebration, here is a sneak peek at one of our spring/summer 2017 gowns from a world renowned designer yet to be announced in the colour of the moment and our current drink of choice ‘champagne”. Ivory and white wedding dresses will be forever classic, elegant and timeless but there is something alluring about a coloured wedding dress. 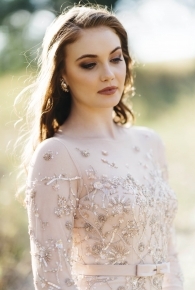 Champagne undertones add body and lustre to your gowns palette so it is up to you whether you would like the colour to speak for itself in an all over sheen or embrace the bubbly with shimmering embellishments and textural details to ensure you stand out in an ivory sea. Wedding dresses in neutral tones will be very much in vogue for 2017, with mocha, latte and cappuccino coloured champagne shades at the top of our lust list. Here is a short overview as to how our favourite designers are incorporating the colour of the moment into your gown shape of choice. The traditional ballgown faces a modern twist with champagne tones being intertwined into tulle layering and 3D floral applique. 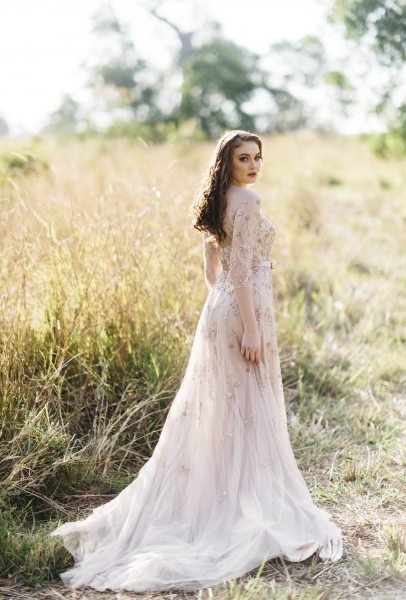 The go to fishtail finish, a fit and flare favourite has neutral undertones combined with lace overlays which can be enough to add a little edge to an otherwise traditional gown. The classical A-line finish is getting a fashion face-lift with taupe coloured embellishment from shoulder to toe and finally a sheath silhouette wedding dress in neutral earthy tones is the epitome of a bridal bestseller with its all round fashion forward finish.